A sought-after conductor of ballet repertoire around the world, Mr. Fifield has conducted at many top companies including the National Ballet of Canada, San Francisco Ballet, Houston Ballet, and Pacific Northwest Ballet. This season Mr. Fifield makes his debut with the Royal Philharmonic Orchestra in performances throughout the UK and returns to Dresden’s Semperoper Ballett to conduct Swan Lake and Labyrinth, an evening of works by Balanchine, Ohad Naharin, Martha Graham, and Joseph Hermandez. As principal conductor for the Nashville Ballet and conducts the Nashville Symphony in four productions this season, including the Ben Folds Project featuring works by Val Caniparoli and Annabelle Lopez Ochoa. Last season Nathan made return engagements at Ballet du Capitole Toulouse, Pennsylvania Ballet, Suzanne Farrell Ballet and the Louisville Ballet. He was Music Director of the Tulsa Ballet for five years. He also served as Associate Conductor at Northern Ballet for the last five years where he conducted over 50 performances a year. Mr. Fifield has been a regular conductor at the Opera de Bordeaux for the past four seasons and conducted a rare and highly acclaimed Serge Lifar program broadcast on French National Television. Equally at home in the opera world, Mr. Fifield has gained attention for his skill in bringing singers, chorus, and orchestra into “perfect balance.” Starting his opera career as a repetiteur and chorus master, Nathan has conducted numerous productions including Carmen, Le Nozze di Figaro, Hansel and Gretel,West Side Story, Evita, Light in the Piazza, Into the Woods and others in addition to frequent oratorio and choral collaborations. He is the past music director of Light Opera of Oklahoma and has conducted productions at Utah Festival Opera, Chelsea Opera, One World Symphony and served on the music staff of Houston Grand Opera and Opera in the Heights. 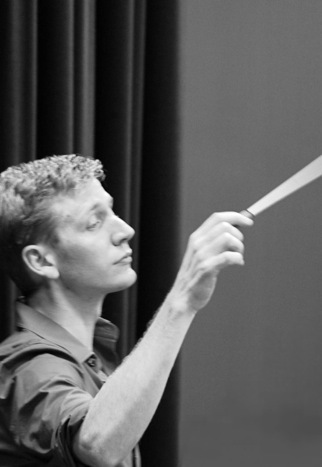 No less skilled as a symphonic conductor, Mr. Fifield was invited by Michael Tilson Thomas to conduct the New World Symphony as one of three finalists for the symphony’s conducting fellowship. He conducted the Breckenridge Music Festival in several concerts last season and has been a guest conductor for the Tulsa Symphony Orchestra. He has also worked with the Albany Symphony, the Princeton Symphony, the Oakland Youth Symphony, the Curtis School of Music Orchestra, the Bakersfield Symphony, the Detroit Youth Symphony, the Bohuslav Martinu Philharmonic, the Cleveland Institute of Music Orchestra, the New Symphony Orchestra, the Lincoln Square Orchestra and others. As a pianist he has worked for many leading ballet companies including American Ballet Theater, New York City Ballet, Alvin Ailey American Dance Theater, Houston Ballet, Mark Morris Dance Group,Aspen Santa Fe Ballet and many others. A frequent chamber musician, Mr. Fifield has accompanied recitals at Carnegie Hall’s Weill Hall and the Bruno Walter Auditorium in Lincoln Center. He is also a two-time Billboard Classical charting pianist with five bestselling albums of ballet piano music. A native of Idaho, Mr. Fifield received piano and conducting degrees at the Mannes College of Music in New York. His conducting teachers include David Hayes, Michael Tilson Thomas, Michael Morgan, Dan Lewis, Rossen Milanov, and Gustav Meier.